1).With wheels for easy movement, good design for homes. 2).Folding design,easy to install, you can fix it in not more than 3 minutes by yourself. 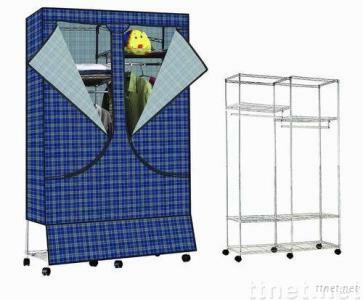 ).Double duty(can also be used as clothes rack in outdoor when remove cloth cover). 4).Multilayer, Ventilate, Customized size and designs are accepted.